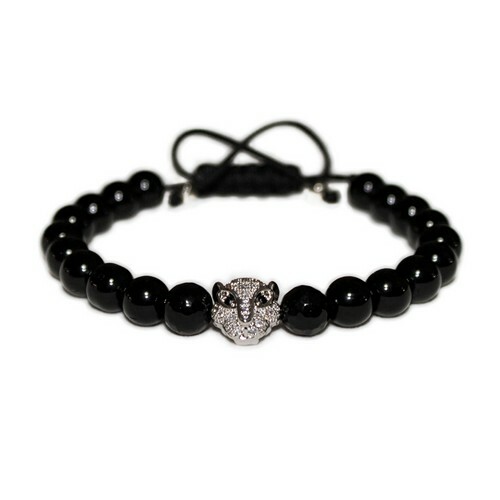 This beaded bracelet is made with 8mm Grade A Matte Onyx and hematite beads, featuring silver plated Tiger charm embellished with black and clear crystals. Tiger bead has amazing details and a solid look. Bracelet has adjustable closure, utilizing a sliding knot made with macrame string and is easy to put on and take off.